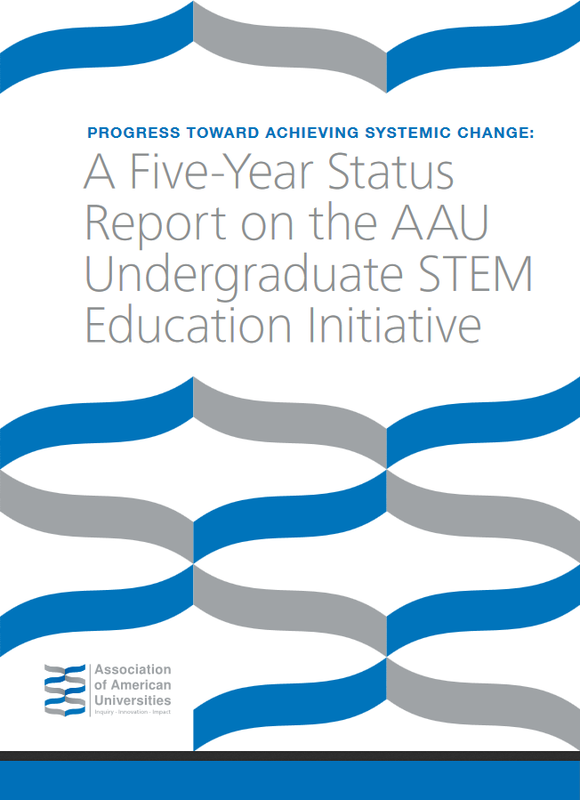 The Association of American Universities (AAU) released a five-year status report highlighting institutional progress in improving the quality of undergraduate science, technology, engineering, and mathematics (STEM) teaching and learning resulting from the Undergraduate STEM Education Initiative. The report provides detailed analysis of STEM educational reforms at eight seed-funded AAU STEM project sites. Also, the report identifies key factors necessary to achieve systemic improvements in STEM instruction and highlights numerous evidence-based educational reforms implemented at AAU universities.